The architect must take advantage of what operators know how to do and can do. They must make the most of each one’s most outstanding quality. This means: integrating, joining forces and giving them a hand when they get stuck; this way they work happily with the security that comes from fully trusting in the organiser. Plus, we have to remember that no one is useless, everyone plays a role (although not everyone has the same abilities); it is a question of finding what each person’s role is. 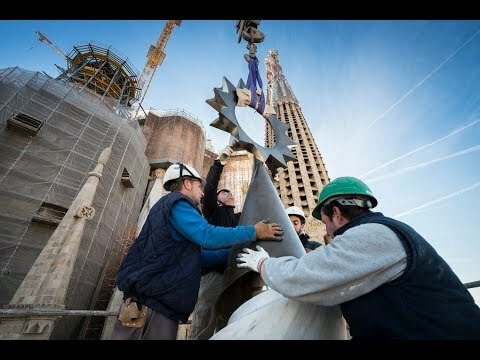 Although Gaudí stands out and gets all the praise for his genius works, which are renowned and highly valued in all ways, what he did would surely not have been possible without the collaboration of a whole multidisciplinary team that, over time, have been eclipsed, including many tradesmen. In this regard, Casa Vicens, Gaudí’s first significant work, was a showcase for traditional trades. In addition to its outstanding ceramic tile work, it also features remarkable wrought iron, some good examples of which are the railings on the balconies and the bars with the palm fronds that make up the fence. Inside, artistry can be seen in the polychrome woodwork and on the ceilings made by plaster tradesmen. 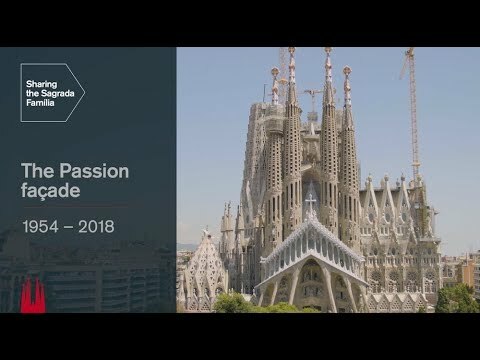 So, with this article, we hope to highlight some of the experts in the more artisanal works Gaudí surrounded himself with, both at the Sagrada Família and other of his renowned works (although we are aware that many names and trades will go unmentioned from lack of space) in order to recognise, just as he did, that great results are the fruit of collaboration, that everyone has something to contribute and that the organiser is responsible for finding the good in each person. When Gaudí was a student, he worked for Josep Fontserè on the project for the Parc de la Ciutadella. Sculptor Joan Flotats i Llucià also worked on the project and we can deduce that this is when they met. Flotats was a disciple of the renowned sculptors, brothers Agapit and Venanci Vallmitjana, and sculpted the Annunciation that is the keystone on the vault in the crypt at the Sagrada Família. Flotats’ son-in-law was Llorenç Matamala i Piñol, one of Gaudí’s great friends. They first worked together on the project for the Parc de la Ciutadella, as he was a disciple of Flotats, and later became an inseparable friend of Gaudí. He led the team of sculptors at the Sagrada Família that made most of the sculptures on the Nativity façade. He even sculpted the image of Saint George on the façade at Casa Botines in Leon. Llorenç Matamala’s son, Joan Matamala, continued his father’s work and completed the sculpture work on the Nativity façade. On the left, the apostle Barnabas, for whom Llorenç Matamala was the model; on the right, the apostle Matthew, a self-portrait of Joan Matamala. Among the sculptors who worked with Gaudí, we could also name Carles Mani, who Gaudí chose after seeing his work Els degenerats. The spirit of teamwork means that it is impossible to know for sure which pieces on the Nativity façade were done by Mani, as he worked with the Matamalas, but what we do know is that, under Gaudí’s supervision, he created the crucifix that presides over the chapel of prayer at Casa Batlló. This crucifix was later acquired by the Sagrada Família museum and Francesc Fajula used it as a model for the Christ that currently hangs over the main altar at the Basilica. Gaudí was the best man when Carles Mani married Antònia Bonay in 1907 in the crypt at the Sagrada Família. This shows the close relationship between the two men, as does the fact that Mani lived in the same house at Park Güell in which Gaudí lived afterwards. He also worked on the commission of a statue of Our Lady of the Rosary for the façade at La Pedrera that was never built because the owner was afraid to after the riots of the Tragic Week in Barcelona. In 1911, Mani’s widow donated all of her husband’s work to the Junta Constructora del Temple Expiatori de la Sagrada Família. Another sculptor who worked with Gaudí was Josep Llimona i Bruguera, who was also trained in the workshop of the Vallmitjana brothers. He and his brother, painter Joan, founded the Cercle Artístic de Sant Lluc, an organisation with conservative religious beliefs that Antoni Gaudí was also a member of. In the painting by Joan Llimona that still hangs in the church of Sant Felip Neri, where Gaudí went every evening, you can see how he used Gaudí as the model when painting the saint. Josep Llimona, renowned among sculptors of the time, worked on Gaudí’s project on Montserrat with the Holy Christ resurrected, looking as if he were flying above the cave in the rock that is the tomb. He also sculpted an altarpiece featuring the Holy Family for Casa Batlló, which we can see in our crypt today over the main altar, and a copy in the Temple museum. He also sculpted the Christ in the crypt chapel where Josep Maria Bocabella is interred. It is well known that it was Gaudí’s work on a piece of wooden furniture with metal pieces that first drew the Count of Güell to him. This was, in fact, how Güell and Gaudí met. The piece in question was a display case for glove shop Guantería Esteban Comella at the 1878 Paris World’s Fair. He collaborated on the piece with Eudald Puntí, master carpenter, whose workshop was next to that of Llorenç Matamala. At Puntí’s workshop, Gaudí also designed the metal street lights for Plaça Reial and Palau Güell. For the latter, he also created the coffered ceilings, doors and other decorative elements in the dining room. The work with a wide array of hardwood (eucalyptus, beech, oak, walnut and ebony, among others) of exceptional quality is very detailed, even when found in less prominent areas. At the Sagrada Família, however, the work of Joan Munné Seraní stands out. This woodworker and cabinetmaker collaborated with Gaudí on several projects, including Colònia Güell and Casa Batlló. Gaudí must have had the utmost trust in him, because he was one of the craftsmen sent to work on projects outside of Catalonia, at Casa Botines in Leon. For the crypt at the Sagrada Família, he made the pews, confessional, pulpit and cabinets for liturgical objects and vestments that have now been rebuilt and are on display in the Temple sacristy. Gaudí, who already knew quite a bit about iron and brass because his father and grandfathers were potsmiths, alternated between a variety of techniques and materials in the field of metals, including wrought iron, grey iron, cast iron and brass. 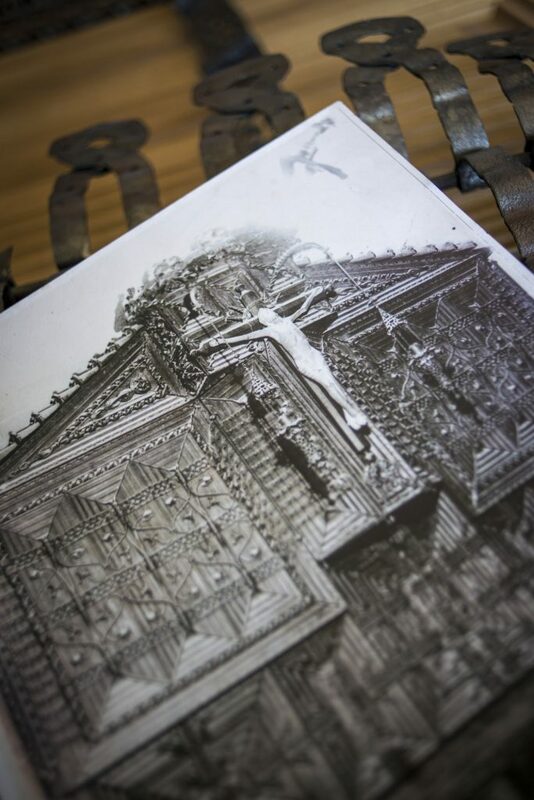 Joan Oñós is the craftsman in this field to which the metalwork on the original furniture in the Sacristy is attributed, as is the gate that protects the base of the column with Jesus’ genealogy on the Nativity façade. Many apprentices were trained in his workshop, including experts such as the Badia Miarnau brothers, Josep and Lluís, who met the master while working on Palau Güell, one of Gaudí’s first projects. The metalwork they did, along with Joan Oñós and Salvador Gabarró, is both abundant and remarkable. 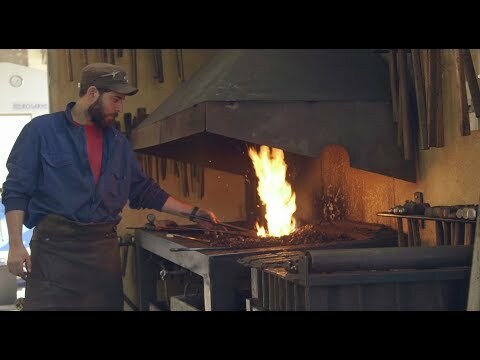 All four became Gaudí’s trusted metalworkers, which can clearly be seen in the fact that he sent Oñós to Leon to work on Casa Botines. Some remarkable Gaudí designs were brought to life in the Badia brothers’ workshop on Carrer de Nàpols, including the railings for the balconies at La Pedrera, and the front gate and heraldic shield for Palau Güell. Another exceptional example of metalwork is the dragon gate at the Güell estate in Pedralbes. In this case, the work was done at the Vallet i Piqué locksmith workshop in Barcelona and we can see how it combines common industrial elements. So, after an impressive view from afar, if you look at it up close you can see it is made up of pieces commonly found in machines, motors and other elements from the metalworking industry like screws, springs and washers. The Pujol i Bausis factory in Esplugues de Llobregat, popular known as “La Rajoleta”, made many pieces designed by the best architects and designers of the time, such as Domènech i Montaner, Puig i Cadafalch and Enric Sagnier, not to mention Antoni Gaudí, in collaboration with Pau Pujol, the son of the founder of the factory. At Casa Vicens, to explain the tiles covering the whole façade and interior, it is said that developer Manel Vicens was a stockbroker who owned a tile factory. But the truth is that El Capricho, also from Gaudí’s early period, already used ceramic tiles in a very similar way. For the Sagrada Família, Gaudí used several ceramic pieces for the pinnacles of the bell towers on the Nativity façade, including the white ceramic pieces spelling out “Hosanna Excelsis”. Nevertheless, the most striking colours are found in his Venetian-glass trencadís mosaics. Gaudí used tiles from different origins, but those produced in the Pujol i Bausis factory played a special role: he used them to cover the chimneys and some areas inside Palau Güell. They found their maximum expression, however, in the trencadís mosaic technique and its applications at Park Güell. 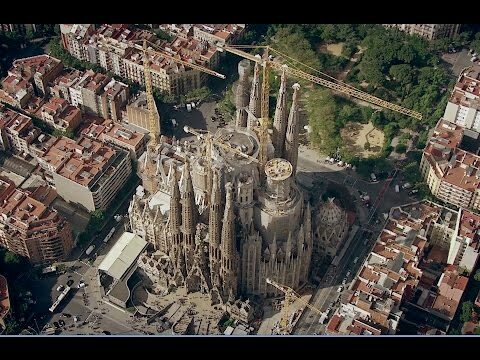 It is said that Gaudí and Josep Maria Jujol went to pick up the rejected tiles from a rubbish tip near the factory. These imperfect pieces discarded by the experts were the ones they were most interested in, and they can now be found on the curving bench that tops the Hypostyle Room. Author: Pablo Audouard. Institut Municipal de Museus of Reus.